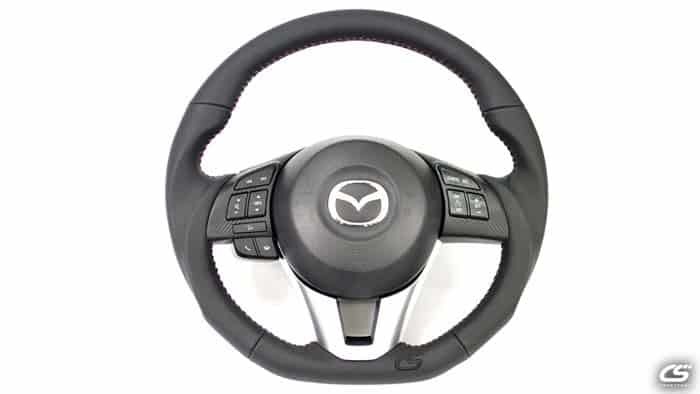 Take hold of your driving experience with the CorkSport Performance Steering Wheel for 2014 - 2016 Mazda3, 2013 - 2016 Mazda Cx-5, & 2016+ Cx-3. 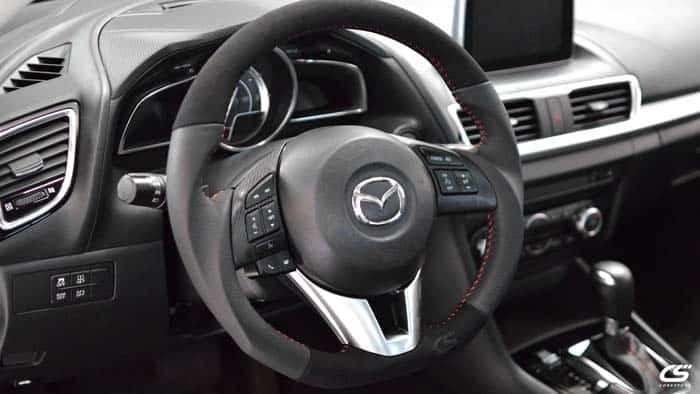 Add style to your Mazda interior and control to your driving with the CorkSport performance leather steering wheel. Hand stitched and wrapped around a racing grip design, the perforated genuine leather is comfortable and plush for daily commuting and spirited track driving. 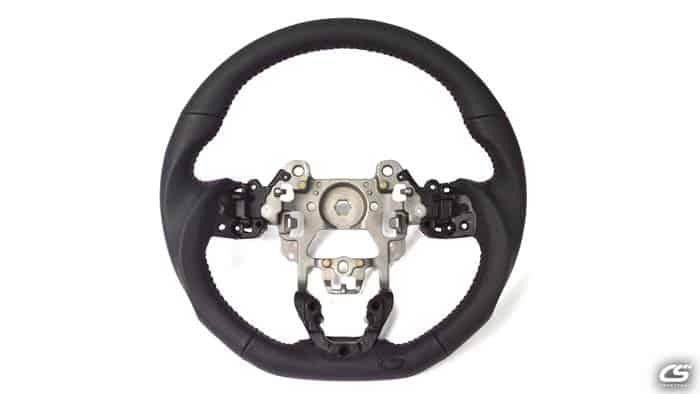 Designed to be a direct replacement for the OEM steering wheel, the CorkSport Performance Steering wheel takes 90 minutes for installation. #ZoomZoom! Share your performance review with the #CorkSport community once installed! 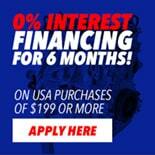 CorkSport Service & Support: 2-year limited warranty, full color installation instructions, all necessary components, and knowledgeable telephone support at (360) 260-2675. It will take you one and a half hours to install the CorkSport Performance Steering Wheel with our easy-to-use instructions. For instructions on airbag removal.